Another game changer smartphone has been released by Lenovo Philippines, which was announced today in their official Facebook Fan page. The famous NBA basketball star Kobe Bryant dubbed Lenovo S820 as "Boundless Screen, Champion Performance". 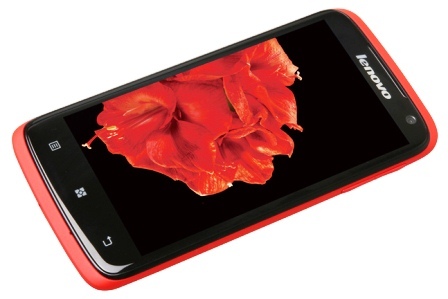 So, how can they prove that that Lenovo S820 has boundless, or rather large screen? With 4.7-inch HD on 1280x720 resolution IPS capacitive display, 312ppi pixel density, we can say that Lenovo S820 will render high quality graphics high enough to par with Super AMOLED. Next thing to prove is the champion performance. Speaking of performance lets start with the processor, given the general spec 1.2GHz quad-core MediaTek MT6589W processor, enough speed to make Lenovo S820 run flawlessly, and fluid performance to add up, plus the PowerVR SGX544MP GPU to run HD videos and 3D games smoothly without any frame drops. Another champion performance of Lenovo S280 is the 12MP back camera with LED flash, this is 12MP we're talking about, a real 12MP with no software tweak or whatsoever. 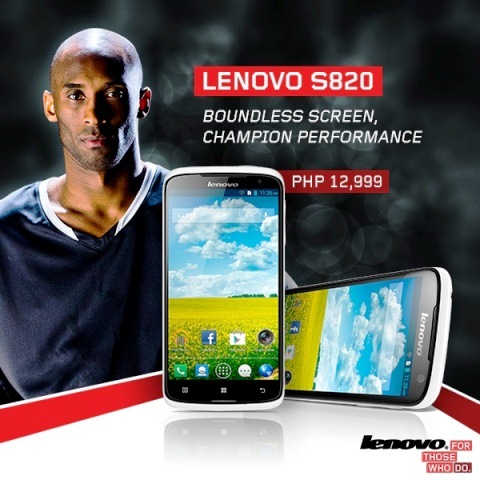 Lenovo S820 might not be your budget phone, but the brand itself has a cost and integrity to maintain, priced at Php12,999 SRP | Available now on Lenovo Stores, and authorized resellers nationwide.